| This Series is a true time machine: it will take you to the 80's. Believe me. ATTENTION TO ALL OF YOU WHO LIVED YOU'RE YOUTH IN YEARS 80, liked movies like Goonies, Portergeist, The Evil Dead, The Thing, Alien(s), Star Wars, ET, Clouse Encounters of the Third Degree, Indiana Jones, It - Stephen King, Lord of the Rings (ok, this is newer, but the books are older and the references are all there) and so many other fantastic and unbeatable classics of that magic decade. I have to say: Watch THIS, STRANGER THINGS! Oh really. Watch it. But watch accordingly: at night, turn off your mobile, whats-app, Facebook, Instagram, blah blah blah, watch as you should watch every movie, with immersion, transport yourself into the adventure, and I assure you, you will remember how it used to be, when going to the movies itself was already an adventure. You will be transported to the 80's. 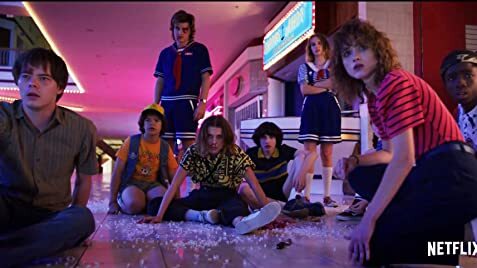 Cool characters, family dramas, pure and sincere friendships among nerd, intelligent, and excluded children, teenage's dramas, music and soundtrack of the 80s, in every detail, from the suspense in songs of each scene, the opening song and title of the series, the soundtrack, the references/homage to the 80's is very strong, very clear. I loved it. For me, it is among the 2 best series I've seen in the last 10 years, with only Game of Thrones at the same level. I cannot think of any other that has given me so much pleasure to watch, which has given me the desire to watch again, and again, and again. No, not even Breaking Bad, Marvel's Daredevil, The Walking Dead, The Expanse (unknown by many, but i liked), NCIS, etc. I'm looking here at the list of series that I follow (around 50), and none is equal to the entertainment provided by this. 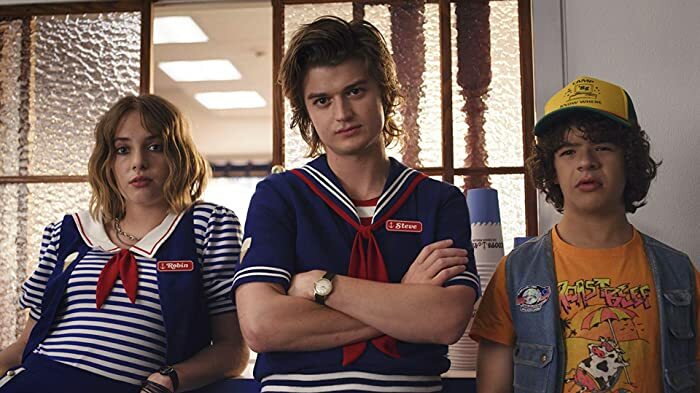 Congratulations to the Duffer brothers. The series is amazing. Worth every minute.